Electric cars can do more than just save the environment, advocates say. 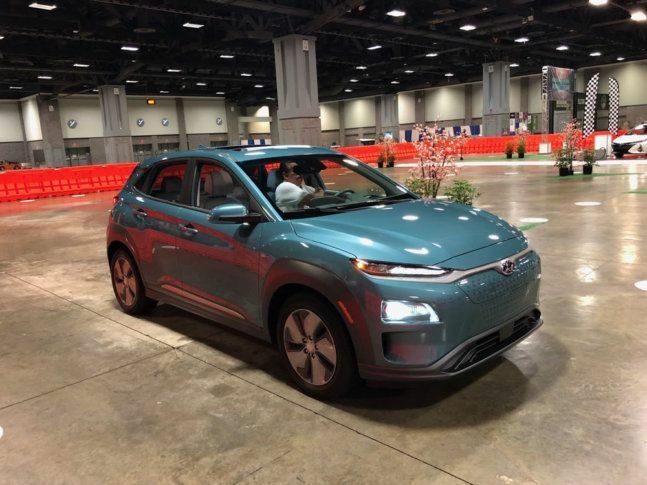 Watch as WTOP's John Aaron takes an electrifying ride on an indoor track at the Washington Auto Show. Through twists, turns, hard braking and accelerating, automakers and advocates are trying to show that electric vehicles can appeal to a wider audience than just the environmentally minded. Reporters got some especially spirited rides at an indoor track at the Washington Auto Show Thursday. The vehicles showing off their tire-squealing chops included the Nissan Leaf, Audi e-tron and Hyundai Kona Electric. Neil Dunlop with Kia described the performance of electric cars in general as amazing.